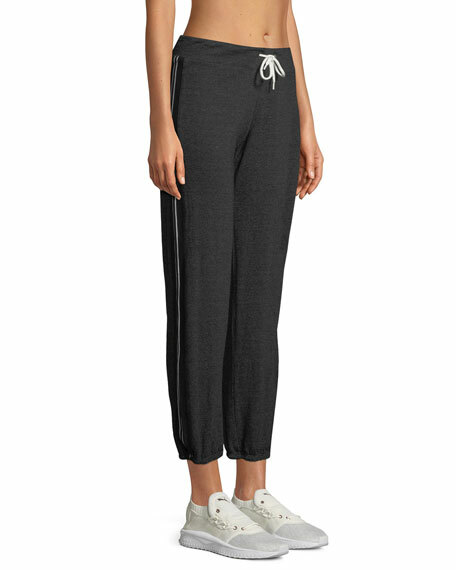 Monrow vintage-inspired sweatpants with side-stripes. MONROW, based in Los Angeles, is inspired by the finest fabrics, including its trademark "supersoft" fabric, to create stylish staples that compliment every woman's wardrobe. The brand releases new collections monthly and a curated classic collection twice a year. Each release complements the next and builds sensible looks that are easy to put together. For in-store inquiries, use sku #2607142.